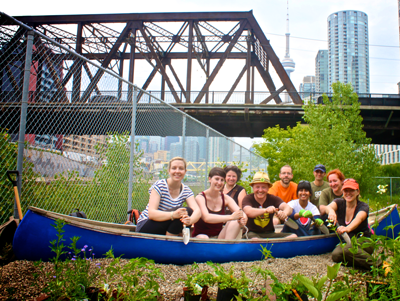 For more than 15 years, the Helen McCrea Peacock Foundation at Toronto Foundation has been supporting environmentally-focused organizations with their programming through directed funding. The Helen McCrea Peacock Foundation supports environmental organizations whose work and initiatives have a positive impact on the environment with a focus on protection and remediation. Funding is provided to registered Canadian charitable organizations whose mandates and missions are to work on environmental initiatives that are carried out in Ontario. Successful applications must have a well-developed program or project for which they are seeking funds, and they must be able to articulate clear and specific objectives, outcomes and impact. Applicants are asked to complete an application form, briefly describing the organization, the program for which they are seeking funding, and the alignment with the Helen McCrea Peacock Foundation’s granting priorities as outlined in the guidelines. Staff at Toronto Foundation will review all proposals and only those that most closely meet the Helen McCrea Peacock Foundation’s priorities will be presented for consideration to the Helen McCrea Peacock Foundation’s Directors. This grant is now open! The deadline to apply is Tuesday, April 30, 2019. Download the guidelines here (PDF and Word), and the application form here. For questions, please contact Lauren Rosenfeld at lrosenfeld@torontofoundation.ca. "The Vital Toronto Fund is one of the best things for donors – the opportunity to reach the smaller, but really effective organizations that most individual philanthropists never hear about."